Shigeru Sano Owner of a Liquor shop complitely destroyed by the Tsunami.He use to sell Italian and French Wine to all Iwate prefecture, March 30th, 2011. A devastating six-metre-high tsunami sweeps into the port city of Kamaishi in north-east Japan following an earthquake of up to 8.9 magnitude on march 11th. Kamaishi famous breakwater was in the Guinness World Records as the deepest on the planet. It was a product of decades of research on wave dynamics and dissipation. 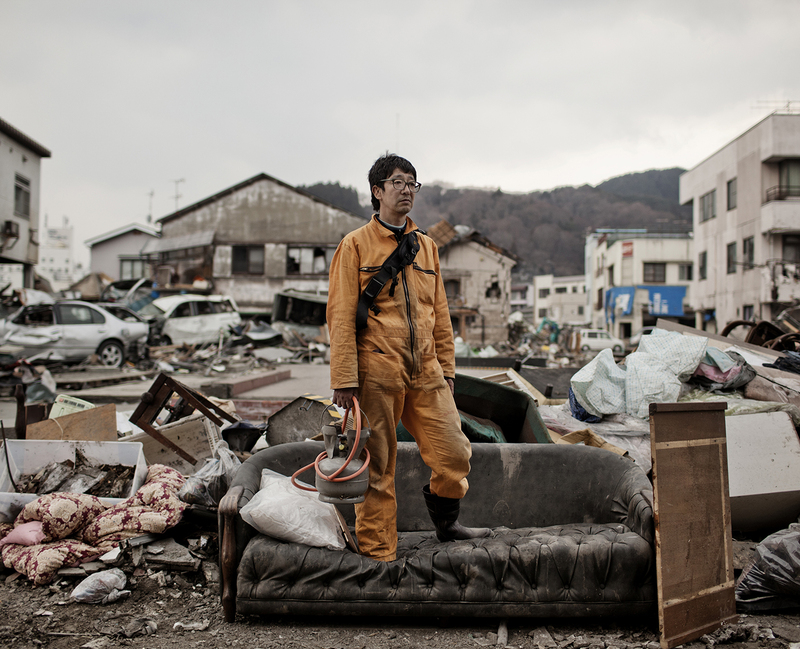 But the tsunami made short work of it and destroied half part of the city.